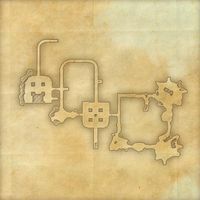 Scholars of the ancient Dwemer believe the buried city of Mzulft was built as some sort of vast dedicated manufacturing site—but dedicated to what, no one is quite sure. Based on the number of traps and constructs defending it, the Dwarves clearly considered it vital. 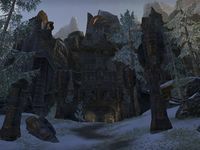 Mzulft is a Dwemer ruin in eastern Eastmarch, east of Cragwallow. 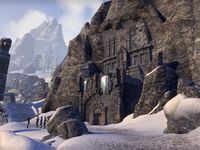 Mzulft Objective: Help Kireth and Raynor explore the Dwemer Ruins. An entrance to Mzulft can be found at Skuldafn, although the passage is blocked by rubble and isn't actually located within the dungeon zone. Mzulft also appeared in Skyrim. This page was last modified on 24 February 2019, at 16:50.